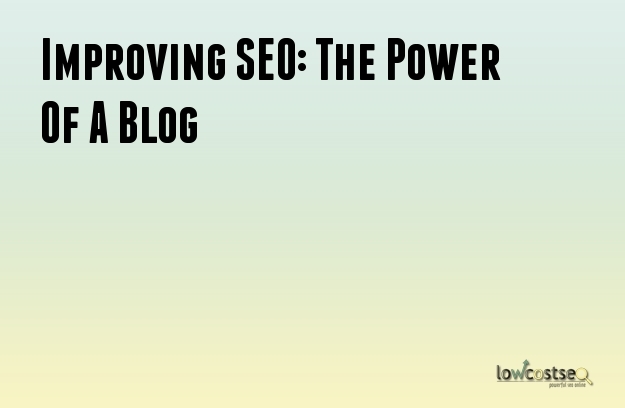 While most companies have a blog, few capitalise on it’s SEO potential the right way. When it comes to SEO blog writing, it’s not just enough to utilise outreach on external sites. You need something enticing readers to come back to your website time and time again. One of the biggest mistakes many companies make is keeping their blog completely unrelated to their existing website. A separate domain is essentially useless. Google won’t be able to determine this is the same website and will rank the blog on its own merits. This means that, even if it’s a great blog, it will simply be another form of outreach according to Google’s algorithms. Similarly, there is some debate over whether to use a subdomain or subdirectory. Generally, however, the wise move is to go with a subdirectory. This allows you to integrated the blog into your website, index it accordingly and make it much easier for Google to relate the content back to your overall site. A subdomain, on the other hand, offers distance. While this might be good for business purposes, it reduces any effect or impact your quality content could have. Likewise, a blog is about being visible. If you want people to visit your website, you need to prove you’re an expert in the field. Blogs are free content for readers to consume. Once they come for advise, they will associate your brand with your specific area. This is why blogs also need to updated regularly, to show you are actively invested, passionate and involved in the industry or area you claim to be. As we just mentioned, internal content such as this needs to provide an expert voice. This means the content needs to be more in-depth than what you might find on third party blog sites. Content needs to be original, as users will come back if they expect to see something they haven’t already seen. Similarly, a blog is where you can show the most interaction. Talk to people in the comments, answer questions and listen to what people have to say. This isn’t just good PR, it’s giving you a source of reliable feedback. We can take this data, for instance, and use it to provide, fresh new SEO content that gives people exactly what they want. All of this will then be linking to your blog, which will be boosting the SEO of the website and brand!